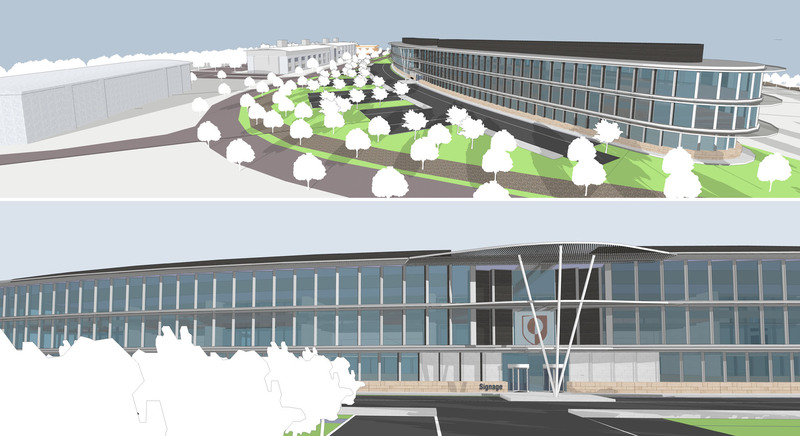 Granta Park is a high-quality science park housing leading scientific companies. Wilson Mason have completed a number of projects within this business estate, one of these including new office accommodation for PPD to house their additional staff. The new steel framed building has two office accommodation floors with a meeting space and enclosed plant rooms. Wilson Mason have also completed additional office space on the business park, designed specifically with the capability of conversion in to laboratories. This was achieved by designing features of the building in such a way that they can accommodate both office and laboratory functions. A second-floor plant room sized for office use contains planned expansion space in order to accommodate an enlarged area for a laboratory plant room if required. In the absence of laboratories, this space will be occupied by offices.